Every now and again, you’ll have a heart-in-mouth moment that leaves you speechless or struggling to find the right words to say. Once you learn how much your heart health works in conjunction with your oral hygiene, you’ll have one less thing to worry about. As innocuous as it seems, how you maintain your teeth affects your most vital organs. Gum disease of any kind can lead to heart problems if you don’t address it right away. Dental Health Awareness: How Are They Connected? Periodontal disease is a type of infection in and around your teeth structure that can affect your gums and tissues. If you have this disease, you are more likely to be at risk of suffering a heart attack, in fact, you are two to three times more likely to experience one, according to Harvard University. Why? Any inflammation or swelling caused by periodontal disease can lead to hardened arteries. Consequently, the blood flow to your heart is slowed. Your gums are full of blood vessels. Once bacteria infects those gums, your bloodstream is likelier to be affected by the bacteria, which can cause inflammation throughout your body. The presence of additional toxins can affect your heart, leading to heart disease or even a stroke. Dental Health Awareness: How Do You Get Periodontal Disease? Periodontal disease can derive from several internal bodily issues, but also poor lifestyle choices. Practices influencing the development of this disease are not brushing or flossing your teeth enough, bad eating habits, and lack of exercise. If you are a frequent smoker or have diabetes, you’re also prone to periodontal disease, which, in turn, makes you a higher risk for heart problems. Gingivitis, which involves the swelling and bleeding of gums, is the most notable precursor to periodontal disease. ‘Peri’ means around and ‘odontal’ refers to teeth. So if immediate action is not taken, the structure that surrounds your teeth within your jawbone weakens. At some point, your teeth may loosen, leading to potential extraction. The bacteria in dental plaque is a primary cause of this disease. Having superior dental health awareness and scheduling regular check-ups will help you eliminate that plaque as soon as possible to reduce any chances of contracting the disease. 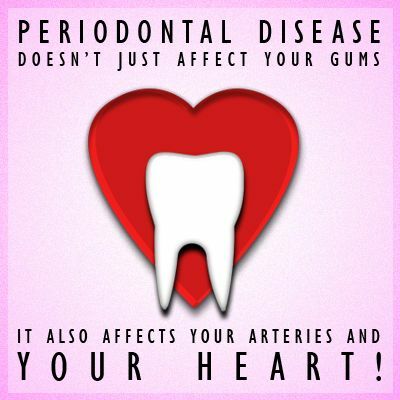 Dental Health Awareness: Can Preventing Periodontal Disease Eliminate Heart Disease? There’s no definitive proof that limiting or eliminating periodontal disease has a direct effect on preventing heart disease. However, it can diminish any risk of getting it. Routine brushing and flossing help your teeth stay in excellent condition. If you do have gingivitis or signs of it, you should seek attention from your dentist, and it helps to ask for a demonstration on how to brush and floss properly. It could also be beneficial to get as many cleanings as required by Dr. Skrobanek at GPS Dental. Improved lifestyle habits as well as fixing any misaligned or crowded teeth can reduce your chances of getting this debilitating oral disease. Stress and fluctuating hormones are also possible triggers that you need to note if you want to curb this disease from happening or spreading. Strong dental health awareness and paying attention to your overall health can ensure that your mouth and heart are as healthy as possible. Let GPS Dental direct your path towards exemplary oral hygiene and find out how you can prevent or eliminate periodontal disease now. Dr. Gary P. Skrobanek’s experienced, friendly team at GPS Dental offers affordable dentistry and is a gentle family dentist in San Antonio, TX area. Our Brooks City Base dentist office is conveniently located and offers early morning appointment times Monday through Friday to meet your needs. At GPS Dental, we promote dental health awareness to our patients and provide most dental services, from family and general dentistry to dental implants, sleep apnea, TMJ / TMD Treatment, cosmetic dentistry and much more. We accept most dental insurance plans and offer affordable financial solutions for any budget. Call us at (210) 633-3477 to make an appointment.